AWS Authorized Government Partner able to provision and manage deployments in the GovCloud region. 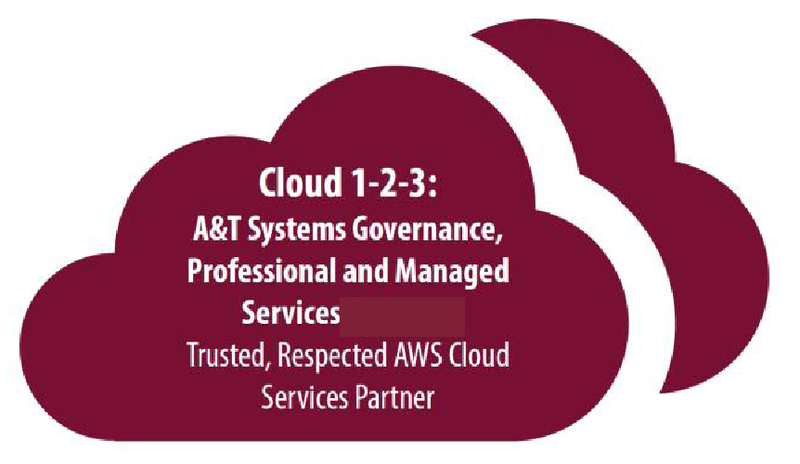 Our partnership with Amazon, our extensive experience in providing Public Sector, Federal, State, local governments, position A&T to assist clients who need to select, acquire, establish, implement, and maintain secure, robust, scalable capabilities in the Cloud – Production or DevOps. A&T has established simplified billing and invoicing processes that streamline how you pay for your services. A&T provides well-developed cost analysis, monitoring, and reporting capabilities that enable you and A&T to identify cost reductions and predict future spending. Our A&TVantagetm Governance Model helps agencies get a head start in developing their Governance models as they migrate from datacenter based IT infrastructure to the Cloud. We call our complete solution Cloud 1-2-3.